Narora sat on the clock tower. Xion, Roxas, and Axel sat to his left in that order. "so, where did you come from Narora?" Roxas asked, leaning forword to see him. Narora shoke his head. "i dont know... i just woke up here..." he took a bite of his Sea Salt ice Cream. Xyre was walking through the area. He noticed a clock tower and decided to sit up there to eat his sea salt ice cream. Roxas laughed "sounds kinda like me." "and me" Xion Chimed in. Narora grined and took another bite. Xyre walked out and sat on the edge around the corner of the clock tower. He heard them talking and peeped over. "Are they..?" Xyre poked his head out revealing himself. "Me." Axel and everyone else stood ready. "You guys dont look too well." Xyre had a smug smile on his face. "Maybe you should relax." "I'll ask once more whos there!" Axel said summoning a Chakram. "I am." Xyre stood up. "My oh my you look angry." His smug smile faded. "Dont you think we can be friends?" "why where you sneeking around!!" this time Roxas asked the question. "Why would I sneak. I was eating my ice cream around the corner when I heard you guys talking." He scratched his head. so you sneeked around to see us" Xion asked. "Pretty much." Xyre scratched the back of his neck. Narora sighed and turned back to the sunset. "what ever. leave 'em be. i don't think he wants to harm us." Narra said to the other three. "You never know." Xyre smiled then took a bite out of his ice cream. "dont make us want to." Axel said turning back to the sunset also. 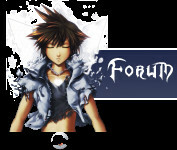 Roxas and Xion fallowed after. Xyre looked at them. He was bored. He sat up and finished his ice cream and threw the stick back. Narora sighed. "Well i gotta go guys. bye" he stood and walked out over the air. "hay!" Roxas called. Narora turned. "you wanna come back? like every day?" He asked. Narora grined. "i'd like that." then turned agian and wlaked on... through the air. Xyre watched him go off. "Boring." He appeared in front of Narora. Narora stoped and blinked "what?" "None, just bored." Xyre smiled. "Where ya going?" "donno. gess i go back to the mansion..." Narora said walking to it. "The mansion?" Xyre pestered. ""What mansion?" as he did Hearless appeared he froze as a flash erupted in his hand. it was the gient key from before. "what the hell is this thin!g!?" Narora yelled tat the Keyblade. Xyre's eyes widened. "Ooo a keyblade user." Xyre flashed his keyblades into his hand and easily disposed of the heartless. "Its a keyblade." "what the hell is is for?!" narora yelled, a heartless appeared and tried to claw him in the back. Xyre warped or flashed stepped (or however you wanna imagine it.) and cut the hollow in half. He watched the heart go into the sky. "What do you see me doing with them?" "but how-" Narora stoped seeing a heartless fly at him. he took Naughts advice and swang the keyblade, cutting it up. "Like that?" Naught looked down. Hes returned his gaze to Narora. "A keyblade is.."
"is?" Narora asked, cutting up another Heartless, more confedent this time. but it was only Shadows. "It's a weapon..thats all I remember." He scratched his head. "oh..." Narora said turning again to a heartless and cutting it. "what the... hell is that?!?!" Narora yelled steping back. "A nobody." Xyre put his keyblades up in the air and summoned black and white lightening which was sent crashing into the nobody. The nobody countered with its own. Narora jumped back, but as he did his left hand was covered in light as well. it cleared showing a second Keyblade. "what the-" Narora stoped and jumed, something in his head ticked as he landed on the hand of the Nobody that tried to punch him. he ran up it and swang both Keyblades at its head. as it fell over to the ground Narora jumped back to Naught. Narora's glazed eyes regained color and he started to pant. "what... what did i just do?"